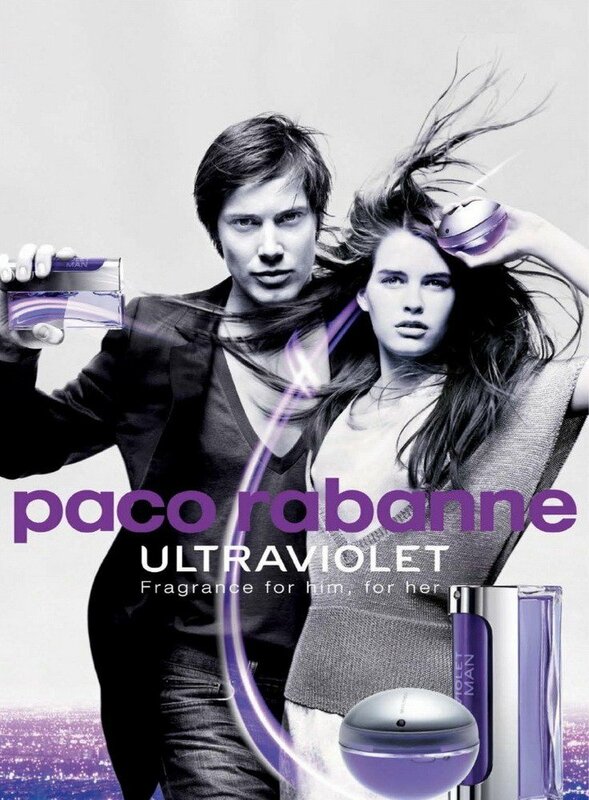 Ultraviolet is a perfume by Paco Rabanne for women and was released in 1999. The scent is floral-spicy. It is being marketed by Puig. To me, Paco Rabanne has mastered the non-sugary, non-heavily-animalic modern scent for grown women. Like Metal, Ultraviolet is another winner with its lovely osmanthus heart, made interesting and fresh by paprika and pimento. A light touch of ambergris and vanilla in the base gives it warmth. This is a truly beautiful light scent for spring and summer. It projects and lasts enough so you feel like you're wearing perfume instead of a skin scent. The only downside is the horrible egg-shaped bottle which rolls all over the place and a top that hard's to get off. Get the flatter version if you can. Unisex, unusual and abstract, Ultraviolet is a cool, green, peppery blend of osmanthus and violets. The pepper is hit and miss for me in perfumes, but in this composition it is played well with other notes. Interesting combination indeed. 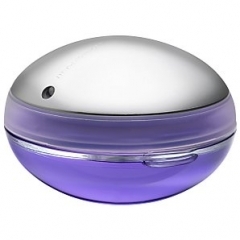 It has cool and relaxing vibe which makes it a great perfume for spring and summer time. The pepper is a bit overpowering at first, but then the composition settles into a nicely balanced scent of osmanthus with slight hint of violets. I am not seeing violets as listed note on this site, but I definitely smell it here. Not usual sweet-natured, predominant violets, but more like a soft violet layer underneath the osmanthus cover. The composition remains light and refreshing. There are woody notes towards the dry down, which make this scent softer and smoother with slight natural sweetness. Overall this is a nice composition, but I do not think that it is a blind buy material. I would definitely test it first. A note for violet lovers – not my favorite one for violets. There are much better violet scents that showcase the natural beauty of this flower. But if you are looking for a light and unusual spring scent and enjoy spicy-green-floral scents then give it a try. Overall score 7/10. Write the first Review for Ultraviolet!